Your one-stop resource for everything related to your financial well-being. In the auto insurance world, the news of late is not good for anyone—auto insurers are making less money than they used to, and in an attempt to recoup some of their lost profits, insurers are charging higher rates for coverage. 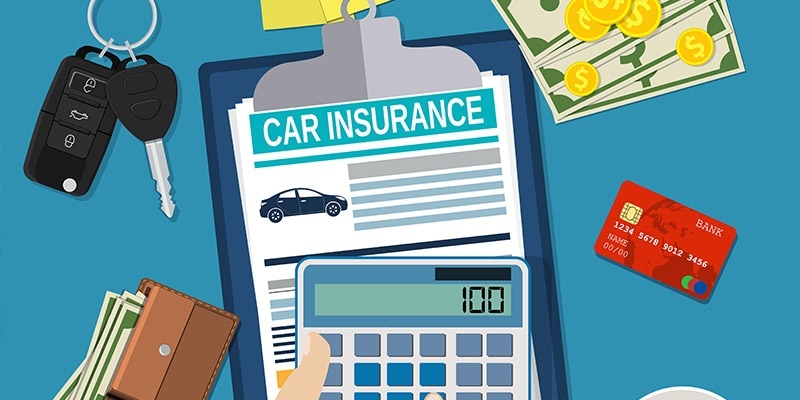 Here's the lowdown on why auto insurance rates are rising and what you as a policyholder can do to minimize the increases. Over the last several years, auto insurers have had a much harder time making money in either way. First, the United States' low interest rate environment over the past ten years has led to decreased investment income for insurers. Second, and adding another financial hardship to insurers' situation, claims have been increasing steadily for years. According to the Insurance Information Institute, "auto insurers' losses and expenses have exceeded premium for every year since 2007." This is due to a number of factors, both in and outside of human drivers' control. Though automobile manufacturers have added a number of features that increase safety and decrease the likelihood of an accident, such as lane departure warnings and rear backup cameras, drivers are still filing more and more accident claims every year. The experts at the Insurance Information Institute point to a healthy economy as one of the main reasons for the increase in collisions. With unemployment low, more workers are on the roads driving to work. Those same workers are using their income to shop and attend entertainment events, which means more driving, and with more drivers on the roads, we simply have more opportunities for accidents. Another part of why we're involved in more accidents and insurance claims is because we're distracted by our smartphones or by attempting to eat, apply makeup, or otherwise multitask while we drive. According to Teen Safe, distracted driving is to blame for about 25% of all fatal car crashes and almost 60% of car crashes involving teenagers. Certainly, some crashes and claims are beyond human control or at least encouraged by events beyond human control. Wet, snowy or icy roads, fog-reducing visibility, and other adverse weather conditions are present in 21% of car crashes, according to the AAA Foundation for Traffic Safety. Even if you never get in your car when it's raining, snowing, or foggy, your car may be damaged or destroyed by hurricane or tornado winds, flooding, or hail just while sitting in your driveway! With extreme weather events becoming more common globally, it seems likely that weather-related insurance claims will only continue to climb. Regardless of cause, when insurance companies pay out large amounts in claims, we all end up paying in some manner. With claims payments increasing faster than general inflation, claims are proving more and more costly for insurers. Collisions are resulting in larger-than-ever repair bills, though experts are not sure exactly why prices for repair work have skyrocketed. Another big reason for costlier auto collision claims is clear: medical bills. We've all heard how medical costs have exceeded inflation for years, with no end in sight. When an auto accident involves bodily injury payments, those medical bills enter into the overall claim cost and drive up prices for all of us, as the auto insurers raise rates to cover those costs. Take advantage of multi-line discounts by buying your auto and homeowners or renters insurance together. Find out if you can get reduced rates through your employer, a trade group, or your alumni association. Evaluate how increasing your deductible and/or lowering certain coverage limits impacts your premium. Check if your profession, credit record, educational background, good driving record, or another trait qualifies you for additional discounts. Ask your insurer if you're eligible for savings based on your projected yearly mileage. Consider insurance rates when you shop for a car and select a car that's less costly to insure. Check prices of other insurers periodically, and make a switch if you'll save. Insure only what makes sense for your car's value. For example, if your car is an older model, collision and comprehensive insurance may no longer make sense financially. While none of us wants to pay higher auto insurance premiums, it looks like that trend will be around for a while. Hopefully the tips above help you minimize your yearly insurance increases! Learn about a variety of topics, including insurance, mortgages, financial planning, investments, and more!